Sun exposure, pollution, stress, poor lifestyle, medical conditions and too much use of cosmetic products are the major cause of dark and dull skin. Many people (especially women) are very serious for their skin to become fair and flawless. Even they are very busy but give some time to their beauty. This is good habit to care your face daily. The market is filled with skin whitening creams and lotions, and these products some time harmful for your skin. Every people cannot afford it too, because they are very expensive. Don’t use these harmful products on your skin. 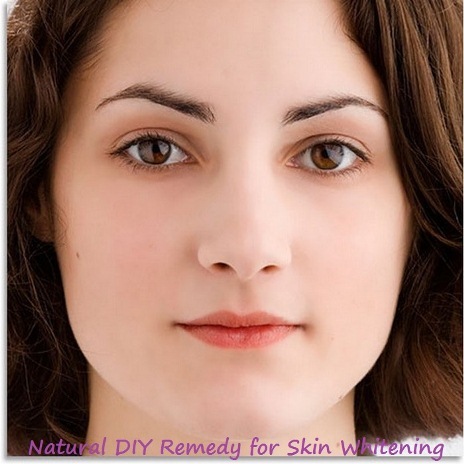 Today I will tell you the best skin whitening remedy for every skin type (dry, oily, sensitive). It will reduce your dark spots, blackheads, whiteheads and wrinkles and make your face clean and fair. In this remedy, all ingredients are natural and without any risk to use it. Here is the remedy. Take a bowl and add 1 tbsp of lemon juice, 1 tbsp of milk and 1 tsp of honey in it, Mix all ingredients properly. Now wash your face first and dry it, then apply this mixture on your face. Leave it for 20 minutes, and then wash your face with cool water. Do this daily or at least 3 time in a week. Your skin will be whiten and bright in few days. You can use this mixture on your neck, hands and feet too.